Nashville, the capital of Tennessee, is located on the Cumberland River in the north-central part of the state. The city is a center for music, health care, publishing, banking and transportation industries, and is home to a large number of colleges and universities. Music Row studios, such as the infamous RCA Studio B, where Elvis recorded over 200 songs. One of the city’s major music events that occurs each year is the CMA festival, which consists of around the clock country performances. There are not only numerous music performances that occur throughout each year but hundreds of new restaurants and other establishments that contribute to the growing popularity of the city – not only for the country fans. East Nashville is an area east of downtown Nashville, across the Cumberland River. East Nashville real estate is mostly residential and mixed-use, with businesses lining the ever popular 5 Points area. Always growing, thriving, historic and hip, East Nashville has become one of the city’s most-desired areas to live and work. Residents from other parts of Nashville and out-of-towners are visiting this booming part of the city for it’s unique restaurants, vintage and eclectic shopping, artistic culture, and preservation of old town Nashville. 12th Avenue South is another popular area similar to that of East Nashville. Sevier Park is always filled with summer roamers who walk from across the street after getting a bite to eat at many of 12th South’s top dining spots. Tap Room, Frothy Monkey, Mafiaoza’s Pizza, Imogene + Willie Jeans Shop and MODA Boutique are only a few of the wide variety of businesses that inhabit 12th South, adding to it’s list of reasons to be a prime spot to live. Hillsboro Village is located along Hillsboro Road, which dates back to the Civil War. Hillsboro Village is located about 3 miles south from downtown and like many of the other popular areas in the city, Hillsboro Village is flooded with booming attractions, new and old. One of the area’s most prized establishments is the Belcourt Theatre, which opened in 1925. The theatre hosts films, musical performances and theatrical plays. Some of the most popular places to eat are Fido, a delicious coffee house with unique cuisine, Jackson’s, make sure to try their cookie-dough egg rolls, and the infamous Pancake Pantry, where there is sure to be a line out the door every weekend. After grabbing a bite to eat locals and tourist walk along the main street stopping in local stores like Pangaea, SEE, Fire Finch, A Thousand Faces and many more. Like most of Nashville, West Nashville is known for it’s historic sites and large parks. Cheekwood Botanical Gardens and Museum of Art is one of the most popular attractions Middle Tennessee has to offer. The estate located in the heart of Cheekwood belonged to the Cheek family, who owned Maxwell House Coffee. The home was passed down through the family and was then offered to be the site of a botanical garden and art museum in the 1950’s. It opened up in the 60’s and has since drawn constant attraction for it’s beautifully manicured gardens and unique art exhibits from all over the world. Along with Cheekwood, there are also the historical Belle Meade Plantation and massive Percy and Edwin Warner Parks. A popular Nashville real estate marketing, first-time homebuyers are flocking to the area’s popular Belle Meade and Sylvan Parks areas to live. The Green Hills area of Nashville is considered to be one of the most affluent areas around. From boutique shops to the Bluebird Café, or Nordstroms to The Cheescake factory, there is a little taste of everything in the Green Hills area! Real Estate in the Green Hills offers everything from luxurious townhomes to esteemed grandeur estates! The Gulch is on the southwest edge of Nashville, nestled in between Music Row and downtown, featuring wonderful opportunities in retail, dining, business, and living. It is known to be a hip and trendy neighborhood, as it is quickly becoming a popular destination for locals, college students (with campuses like Vanderbilt, Belmont, and Lipscomb nearby) and visitors alike. Edgehill Village has become one of Nashville’s hippest, hottest destinations for food, drink, shopping and music. An urban village, Edgehill is ideally located just one block off of Music Row, near amazing universities such as Belmont and Vanderbilt. With its historical background, the village utilizes its original 8 building structures and incorporates them into mixed-use property with a 1920’s era feel. With so many options to eat, shop, work and play, its no wonder so many people have chosen this area to call home. Bellevue is located approximately 13 miles southwest of downtown Nashville off of I-40. It was originally a small community, which primarily existed to serve the needs of nearby farms. Now, it is a booming area, with fabulous retail, living, and recreational activities, with miles and miles of access to “The Warner Parks” and the Natchez Trace. If you’re looking to search MLS listings for real estate in Nashville, you’re in the right place. Use our MLS search function to find home listings throughout the Nashville area. 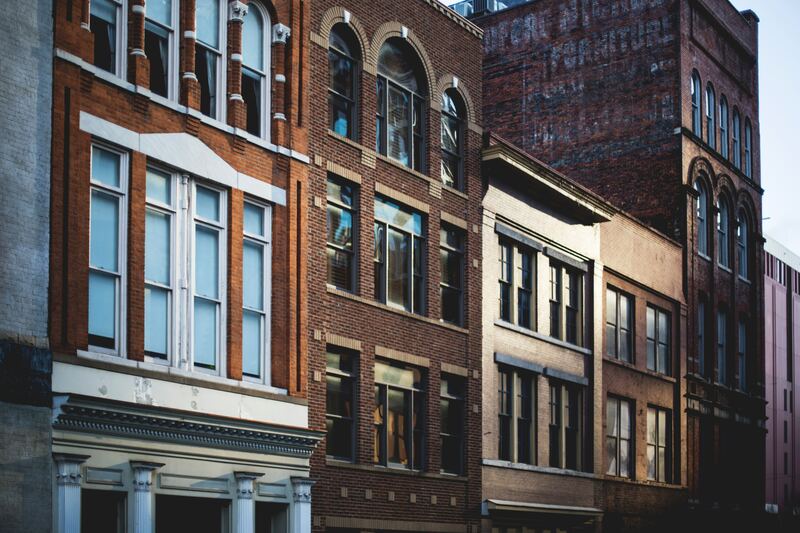 The Greater Nashville area is made up of many unique neighborhoods, towns, & cities — each with its own charms and attractions. With the recent attention on Nashville as a great place to work & live, the Nashville real estate market has benefited. Of course, we’d love to meet you, to learn more about the type of home you’re searching for and the kind of community you want to live in. We have over 20 years of Nashville real estate experience, matching homebuyers with the right house. We’re both very proud and very humbled to be the number 1 real estate team in Nashville and to be known as Nashville’s top REALTORS. Contact us today and let us know how we can serve you with your real estate needs.